Join us in celebrating art and music at upcoming events in San Leandro. 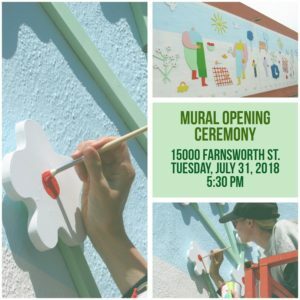 On Tuesday, July 31, 2018, at 5:30PM, the public is invited to the opening of a unique mural, entitled Peachy, by Bay Area artist Sarah Bowser. The event will be held in front of 88 Manor Market at 15000 Farnsworth Street, near the busy intersection of Farnsworth Street and Manor Boulevard. Inspired by the Washington Manor neighborhood in which it is located, the mural represents family life and community. The mural is designed as a triptych, with complimentary scenes across three panels. The piece is unique in that it is not simply paint on the wall. Artist Sarah Bowser decided to mimic her trademark papercuts style by fabricating wooden cutouts that have been painted and mounted onto the wall. This has created a clever three-dimensional effect that changes the perception of the mural throughout the day, as the light from the sun shifts the shadows. Bowser will be present at the on-site opening ceremony. 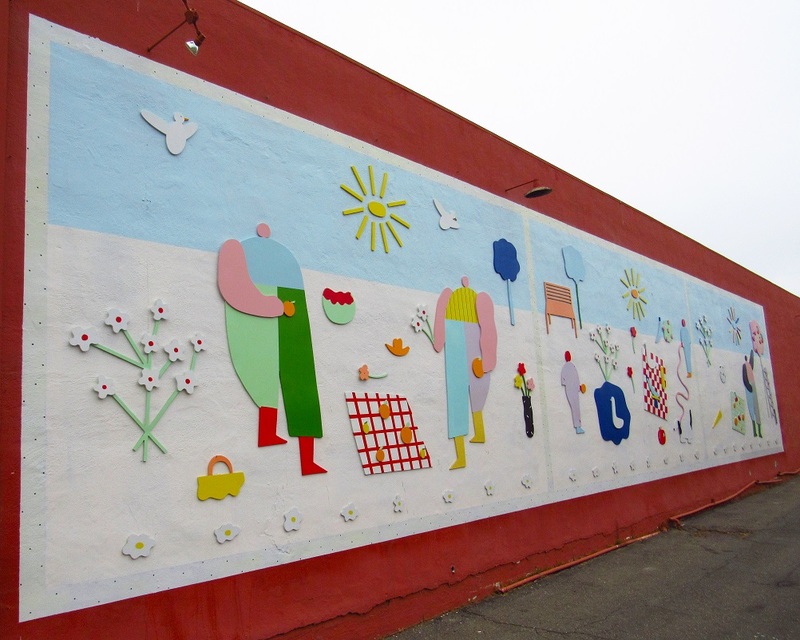 The City of San Leandro has also created a new Public Art section on its website highlighting the impressive amount of art throughout the community. 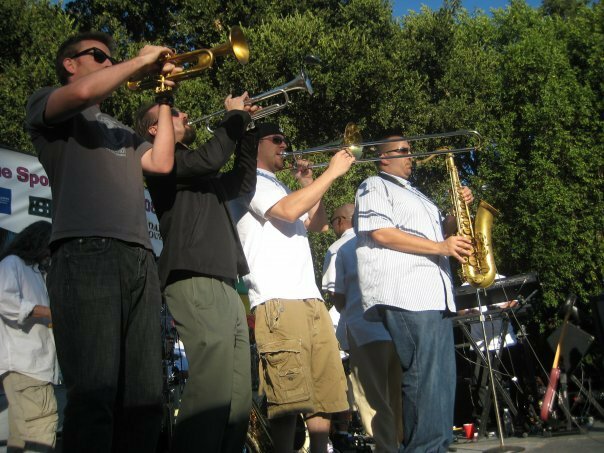 The section showcases the City’s recent public art initiatives and provides an opportunity to view and learn more about the role of public art in the San Leandro community. Photos, videos, and details are provided for a wide range of art, including murals, utility boxes, banners and the interactive musical exhibit, Chime Way. The section will be updated on a regular basis, as more public art arrives. Thank you to the City of San Leandro for this beautiful mural. It has already been appreciated. Love it! Can i suggest a mural behind the safeway in downtown san leandro? Either along hays street or Juana ave. It is one of the gateways into downtown for me personally, but also many others who take bart.